Dusty Pink & Ivory - Our Recommended Colours for Your 2018 Summer Wedding Lehenga! Come Holi, and we will be ready to wear breezy colours, sip on coolers all day long and swear by the increasing heat every year. The season of the scorching sun has never deterred our brides from dolling up from head to toe for their big day. This summer, adorn yourself in florals, pastel shades and lightweight lehengas. If you ask us, we’d suggest you choose either dusty pink or ivory for your summer wedding. Let us show you why! 1. Baby pink lehenga full of heavy floral work paired with a maroon blouse. Perff! 2. Oh my God!! You never fail to knock us over, Mr. Sabyasachi! 3. 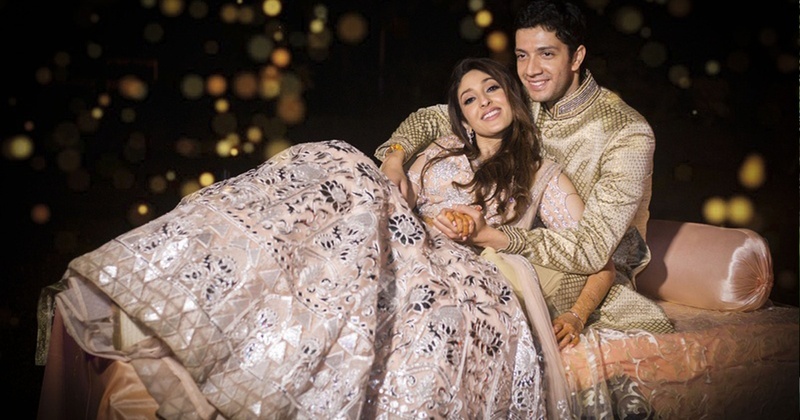 We love this bride’s peachish pink lehenga which she wore on her sangeet! 5. This pink gown with flowers is so pretty! 6. Look at this pretty bride twirling in her peach gown! 7. Kangana Ranaut wore this stunning ivory lehenga at LFW’18 as Shyamal and Bhumika’s showstopper. 8. Meera Muzaffar Ali’s ivory lehenga has gotten us star struck! 9. This bride’s blush pink lehenga is oh-so-amazing! 10. A blue lehenga with roses paired with a dusty pink dupatta and blouse is just wow! 11. A real Sabyasachi bride wore a Mughal garden lehenga in ivory silk. Pretty pretty! 12. Mahima Mahajan has created such a beautiful blush pink lehenga! 13. This ivory lehenga by Tarun Tahiliani is so picturesque! 14. You can grab this beautiful lehenga from Shyamal and Bhumika’s spring couture! We are sure you’ll look beautiful in any lehenga colour you select!